If you are a childminder and you provide food as part of your childminding service then you have to register as a food business with your local authority. Food safety is very important for childcare, because children are a vulnerable group and can be more seriously affected by food poisoning than some other groups of people. So food safety is not just a ‘meaningless piece of legislation’ or another ‘hoop to jump through’ for childminders. I spoke with the Food Standards Agency and the Environmental Health Officer at my council to find out exactly what childminders have to do. How do I know if I have to register as a food business? If you ever prepare food for the children who attend your setting then you probably have to register as a food business. If the children only eat food they have brought from home in their own lunch boxes then you may not have to register. Your Environmental Health Officer at your local authority (council) will talk you through it. I’m a new childminder. How do I register as a food business? When you register your childminding business with Ofsted, the details you provide to Ofsted will also be used to register you as a food business. This will happen automatically so you don’t need to do anything. This only applies for registrations made on or after 1 January 2014, and only if you tell Ofsted that you plan to provide food as part of your childminding service. I registered before January 2014. Do I have to register as a food businesses? 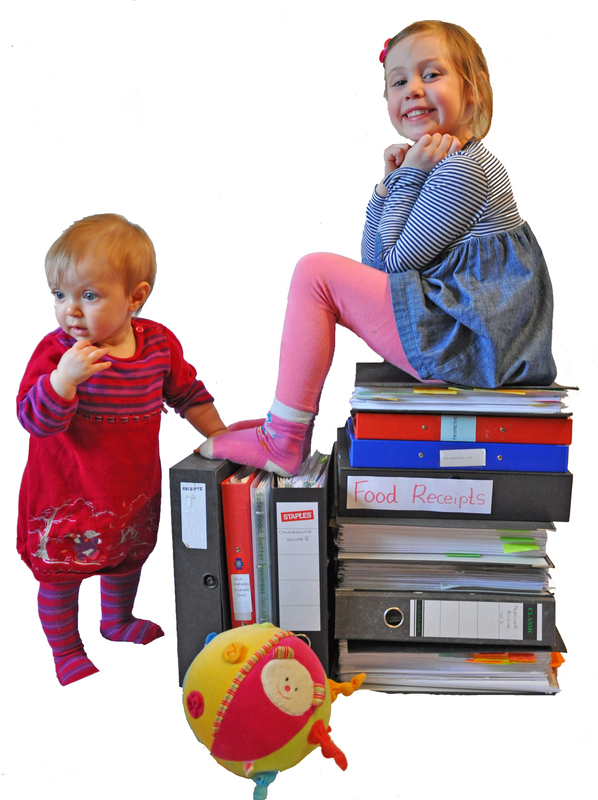 If you are a childminder who registered with Ofsted before January 2014, who provides food as part of your childminding service, then you should contact your local authority Environmental Health Officer and register yourself. It is free to register and it is very unlikely that you will ever be inspected. You will be sent important information on food safety to help you to keep the children’s food safe. Do I need to go on a proper food safety course? No. However, childminders who provide food as part of their normal childminding service are responsible under food law for ensuring that food is prepared, stored and handled in compliance with the food hygiene regulations. 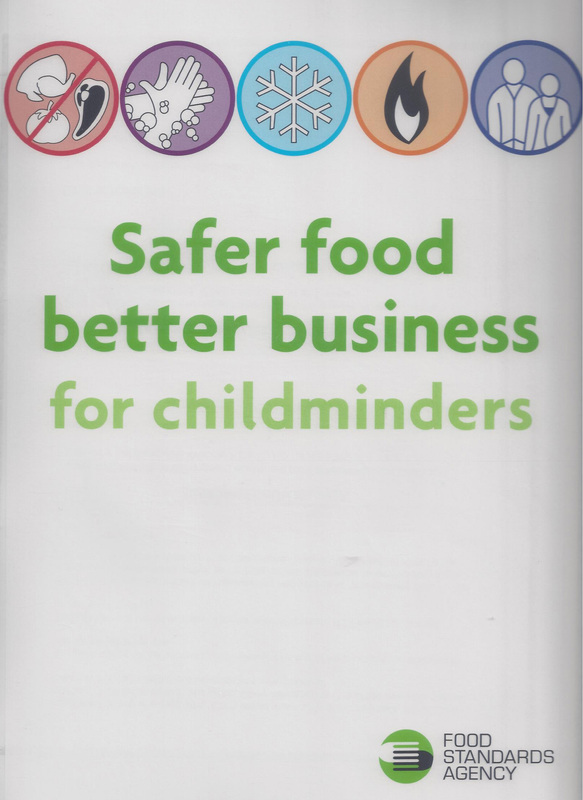 The Food Standards Agency has produced a special pack called Safer Food, Better Business For Childminders which you should read. Your local authority and many private companies may run food safety courses if you would like to go on one, but this is optional. There is no requirement for food handlers to attend formal courses or to acquire food hygiene qualifications. Do I really need to keep all my food receipts and if so for how long for? Yes. Keep all of your food receipts for four weeks from the date when the children ate the food that is listed on the receipts. That way if there is a safety problem with food you have provided (like an outbreak of food poisoning) then you have a traceable record of the individual ingredients in the food the children have eaten. Do I have to use fridge/freezer thermometers? Food that is stored at the wrong temperature can quickly become unsafe to eat. In order to make sure that the food is stored at the correct temperature you need to check every day to make sure that your fridge is set at 5°C or below and your freezer is working properly. It is a legal requirement in England, Wales and Northern Ireland to keep high risk food at 8°C or below. Make sure your fridge is operating between 0°C – 5°C to ensure the food inside is kept at 8°C or below. The reason for the thermometer is to check the actual temperature of the fridge is suitable. Some fridges will have a digital display to show what temperature they are set, but most fridges simply have a dial inside with numbers the numbers ‘1, 2, 3, 4, 5’ on it. These numbers don’t relate to actual temperatures which is why you need to check the temperature with a thermometer. Even if your fridge is one that displays the actual temperature, you should still check it occasionally with a thermometer to make sure that it is displaying the correct temperature. Where can I get advice on food safety and registration? It is important that food handlers have adequate knowledge to prepare and supply food that is safe to eat. If you have any further questions about how the legislation applies or if you would like free advice on food safety, contact your local authority (council) Environmental Health Service. You can use this link to find your local contact: The Food Standard Agency website provides further information. Do I really have to list all the allergens in the food I prepare? From December 2014 new rules will be introduced requiring all food businesses including childminders to provide allergy information on the foods they provide to the children. The Food Standards Agency has produced guidance on the 14 allergens that must be declared in any food that you prepare. It is very important that you become familiar with the allergens listed here. To comply with legislation you should always ask parents if their children have any known allergies. If any of the children you look after have an allergy then you should speak to the parents about it and plan for how you will ensure at your setting that the child does not come into contact with the food that could harm them. One way to do this could be to make a list of all of the food you prepare that contains the allergen to prevent that child from coming into contact with it. The Food Standard Agency has lots of information about food allergies and there is even an optional online training course that you can take if you would like to learn more. Kay Woods has been writing and selling childminding resources through her company Kids To Go for the last six years. Her products include the Ultimate Childminding Checklist, the Learning Journey Plus for planning, observation and assessment and best practice resources promoting diversity and childminding in the great outdoors (Forest Childcare). 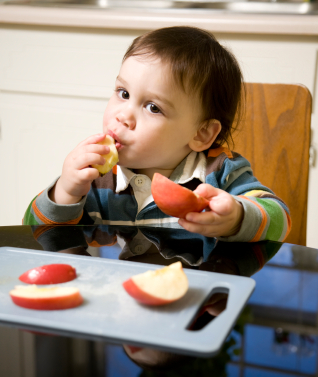 By Kay Woods in Food Safety Legislation, Risk assessment for childminders, Safety at Home on October 5, 2014 .